Powerweave Walkin Drive: Powerweave Software Services Pvt Ltd is going to conduct the Powerweave Walkin Drive for vacant Jobs in Mumbai. Latest Job Openings for graduates to fill in the most recent job openings for Associate, Senior Associate – (NonTechnical) Role. 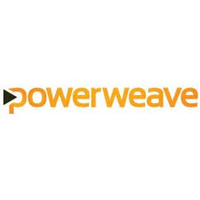 So, graduates who have completed their graduation as a Fresher and also have four years of experience can check the detailed info on this page and go to the Powerweave Walkin Interview in Mumbai. You should go to walkin in the given time and date from 31st August – 4th September 2018. To know detailed data regarding the Powerweave Walkin Drive can read this article thoroughly. Get more information about Powerweave Walkin Drive in Mumbai from this article. The people who want to settle through Powerweave Walkin Interview can start their preparation concerning all the Placement Papers available on our site. You have to prepare well for the Interview Process grabbing with the right modules and stuff. For more details visit our web portal Freshersnow daily. Job aspirants should know the essential abilities and expected the set of responsibilities required for the Powerweave walkin Interview which are given in this article. For more frequent updated data regarding all other walkins in India, candidates can bookmark our web portal Freshersnow daily. To get updated info regarding Powerweave Walkin drive you should read this article completely.